If you own an Xperia XZ or the XZs, you might want to check your software update. 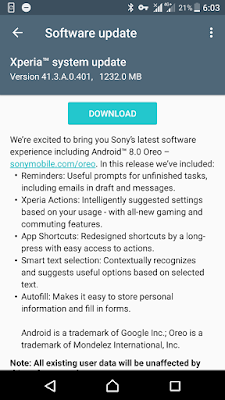 Sony has been very focused on bringing Android 8.0 Oreo to its smartphone lineup. Now yhis two devices can be added to the list of phones running Oreo. This weekend, Sony Xperia XZ and Xperia XZs owners reported that the Oreo update has started to roll out. The new build number for both updates is 41.3.A.0.401. Unsurprisingly, this is a pretty big update at 1.2 GB, so be sure you’re on a steady Wi-Fi network before downloading the update. These updates also bring the November 2017 Android security patch. the same update should be released soon for the Xperia X Performance. 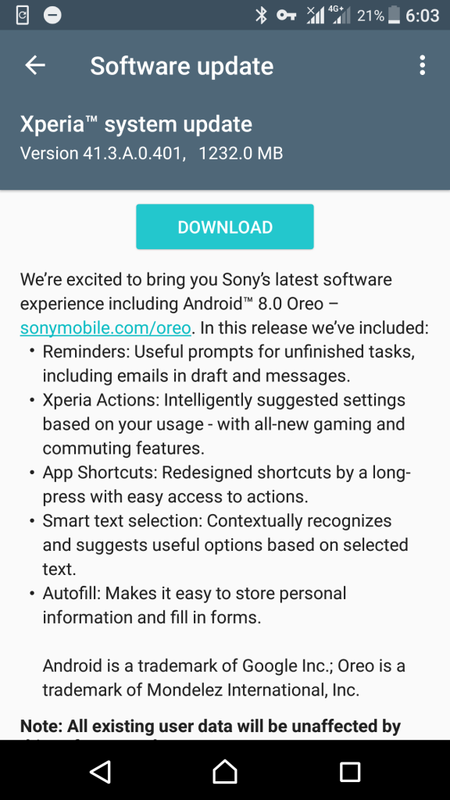 Sony previously launched an Oreo update for the Xperia XZ Premium in late October, and it has already promised that several more of its Xperia phones will get Oreo over-the-air updates in the near future. 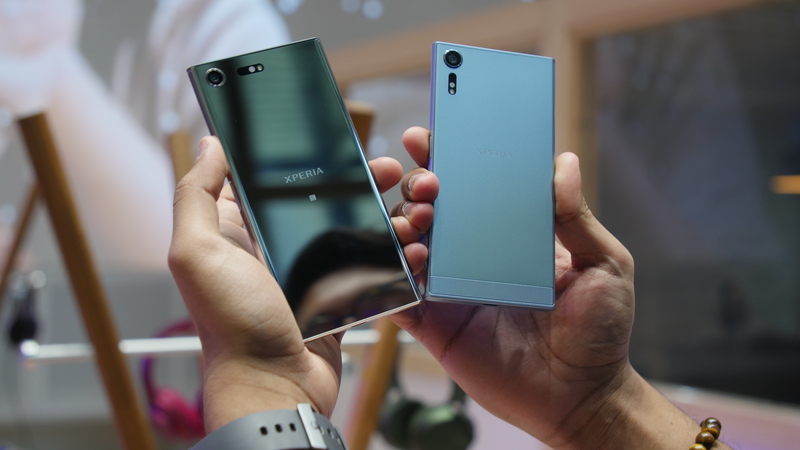 Its two latest smartphones, the Xperia XZ1 and Xperia XZ1 Compact, were the first to be launched with Android 8.0 out of the box.